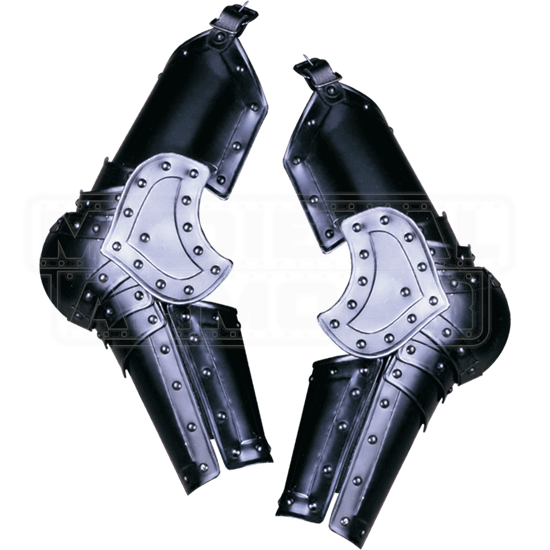 The Blackened Balthasar Full Arm Guards are crafted from nine individual pieces in order to provide the most complete maneuverability possible. The arm armour even allows close bending of the elbow, making it ideal for battle. The forearm is protected by a two-piece tube, which is closed tight. The full arm protection can be combined with other steel armour with ease, especially pieces of our Balthasar-style armour, which feature excellent riveted detailing for a unique look. 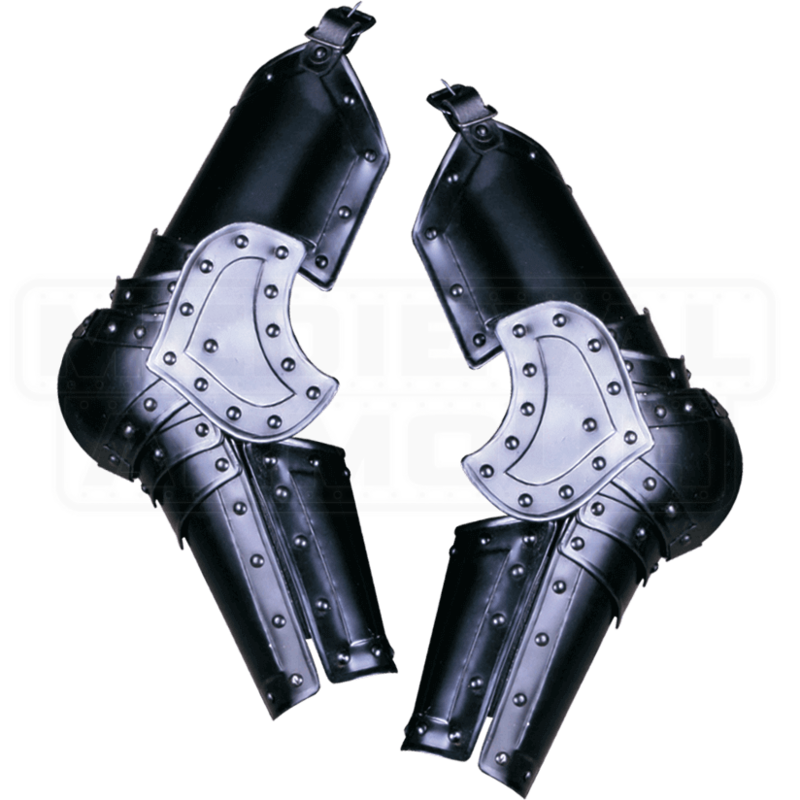 This steel armguard possesses a dark metal finish that is perfect for warlords and mercenaries of all kinds. Create a fantastic LARP armour ensemble with the help of this top notch armguard!